• Speed – complete high quality qPCR runs in less than 25 min. • Accuracy – excellent repeatability and reproducibility with a temperature uniformity of ±0.05°C. • Size – At 2 kg the Mic takes up less space on a bench than a lab book. • Connectivity – Bluetooth® option allows up to 10 instruments to run from one PC. • Plug and play with no calibration required – ever! With an intuitive software layout, run setup and analysis become simple and there are many quality control features to provide confidence in the final result. The software has been designed to meet the MIQE guidelines. QIAGEN’s new real-time PCR cycler, the Rotor-Gene Q, provides outstanding performance and the reliable and accurate results your research demands. 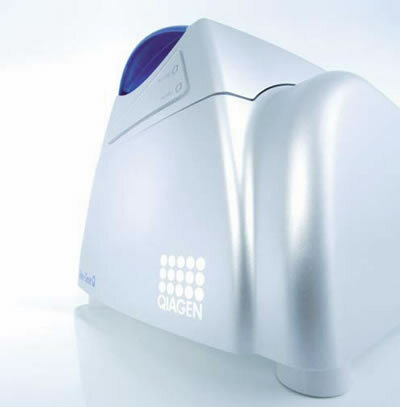 Together with optimized QIAGEN kits, the Rotor-Gene Q enables streamlined analysis for a wide range of applications. * Complete confidence in your results! 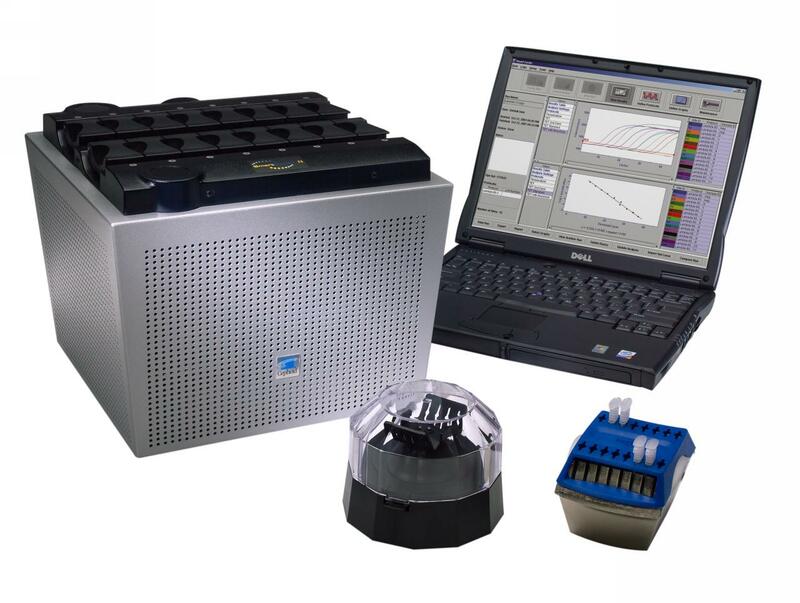 The unique centrifugal rotary design of the Rotor-Gene Q makes it the most precise and versatile real-time PCR cycler currently available (see figure "Cross-section of the Rotor-Gene Q"). Each tube spins in a chamber of moving air, keeping all samples at precisely the same temperature during rapid thermal cycling. Detection is similarly uniform. When each tube aligns with the detection optics, the sample is illuminated and the fluorescent signal is rapidly collected from a single, short optical pathway. This thermal and optical uniformity results in sensitive, precise, and fast real-time PCR analysis (see figure "Precise real-time PCR analysis"). It also eliminates sample-to-sample variations and edge effects. These are unavoidable in traditional block-based instruments due to temperature gradients across the block and multiple, complex optical pathways. Whether your assay is based on intercalating dyes such as SYBR Green, probes such as hydrolysis (TaqMan) or hybridization (FRET) probes, or multiplex chemistries, the Rotor-Gene Q meets your requirements. With up to 6 channels spanning UV to infrared wavelengths, the cycler delivers the widest optical range currently available (see Table "Channels for optical detection"). In addition, the software allows you to create new excitation/detection wavelength combinations, which means that the Rotor-Gene Q is compatible with dyes you may use in the future. 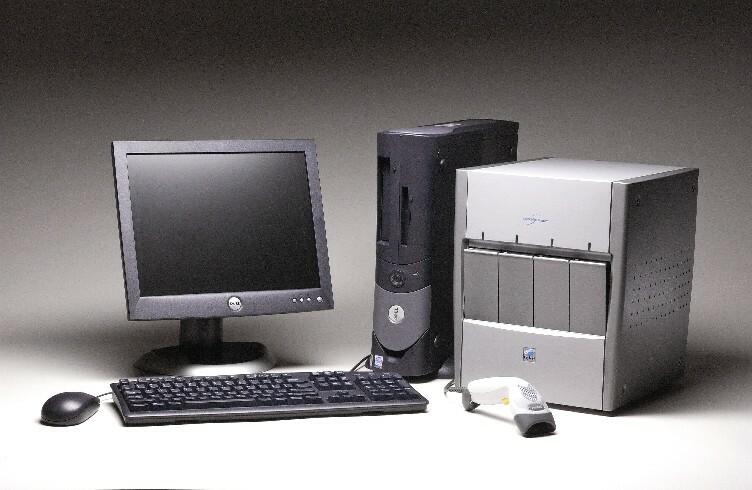 REST 2009 Software is a standalone software tool, developed by M. Pfaffl (Technical University Munich) and QIAGEN, for analysis of gene expression data from quantitative real-time PCR experiments. Click the "Resources" tab to download REST 2009 Software free of charge. The Rotor-Gene 6000 is a third-generation real-time rotary analyzer. Its unique centrifugal format was designed specifically for the demanding requirements of real-time cycling and thermo-optical analyses. The rotary design provides unparalleled well-to-well thermal and optical uniformity—critical factors in real-time analysis. Its also enables a fast data acquisition rate, a feature now proving to be essential for advanced applications such as HRM (high-resolution melt). It is the only real-time amplification platform capable of HRM (high-resolution melt) and nucleic acid concentration measurement in addition to all the standard real-time applications like quantitative amplification and SNP genotyping. It has the greatest optical range, with 6 channels spanning UV to infra-red wavelengths. It uses the widest range of interchangeable reaction tube formats. 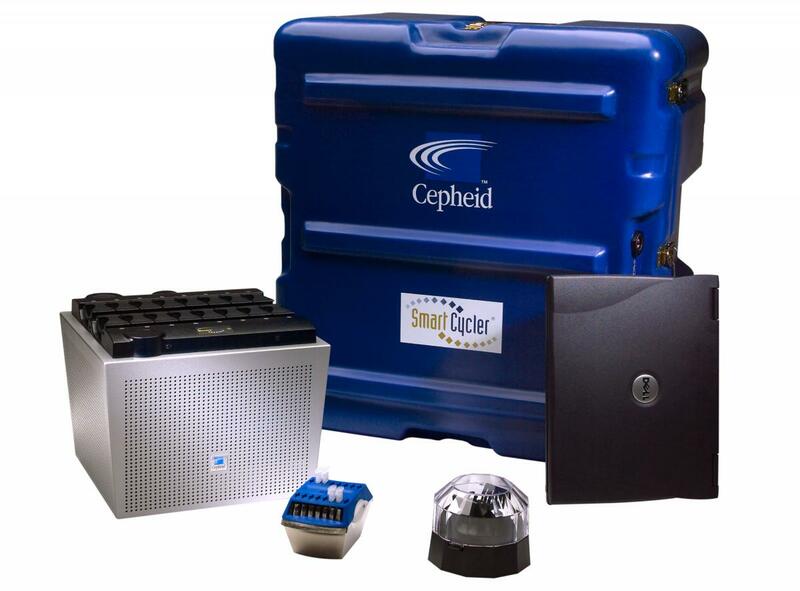 The "heart" of the Smart Cycler® System from Cepheid of Sunnyvale, Calif., is the I-CORE™ (Intelligent Cooling/Heating Optical Reaction) module. According to company literature, the I-CORE module incorporates state-of-the-art microfluidic and microelectronic design. Each Smart Cycler processing block contains 16 independently programmable I-CORE modules, each of which performs four-color, real-time fluorometric detection. A wide variety of different multiplex or simplex fluorescent tags can used in conjunction with this system, including FAM, TET, ALEXA 532, ALEXA 647, TAM, ROX, SYBR Green, Cy3, Texas Red and others. The GeneXpert® System utilizes real-time polymerase chain reaction (PCR) to amplify and detect target DNA. The system is the first to fully automate and integrate all the steps required for PCR-based DNA testing: sample preparation, DNA amplification and detection. 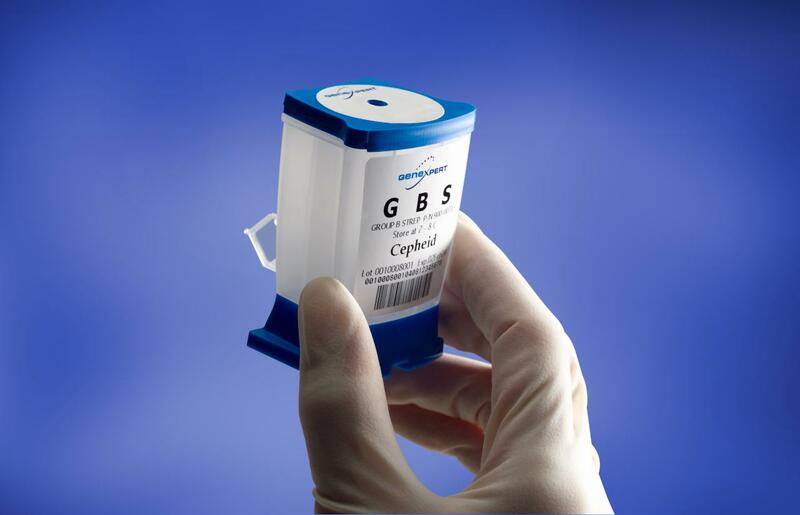 The cartridges are designed for use with Cepheid's real-time modules, thus fully integrating the steps associated with DNA extraction, amplification, and detection in one system and one procedure. 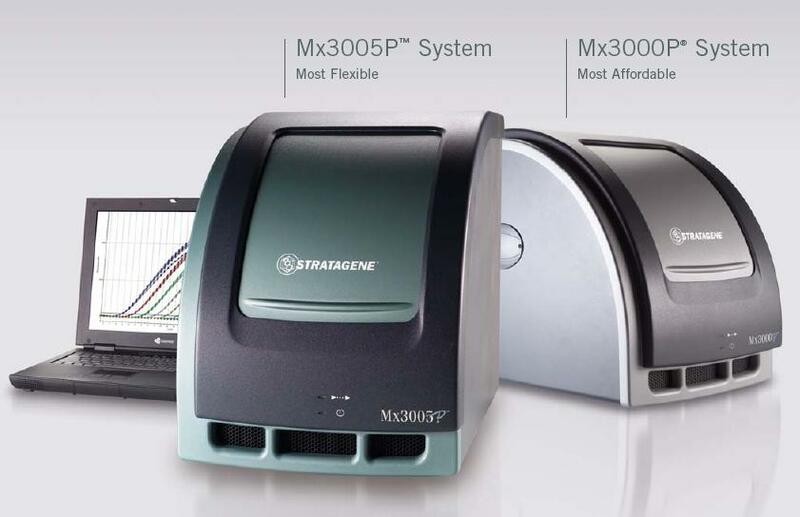 The Mx™ Family of qPCR Systems from Stratagene offers the highest performance and flexibility in qPCR Systems at the most affordable price. The Mx3000P® qPCR System is not just an entry-level QPCR system, but is a high-performance, full-featured instrument system designed to accommodate most experimental designs. The new Mx3005P™ qPCR System advances the proven Mx3000P system by offering unmatched flexibility and capability to support more real-time qPCR applications and chemistries. The flexible Mx3005P system will accommodate your research needs now and in the future. Cited in more than 3000 publications, the Agilent Mx3005P and Mx3000P QPCR Systems are the most flexible—and reliable—instruments available for gene expression analysis, microarray data validation, SNP genotyping, pathogen detection, DNA methylation analysis, and chromatin immuno-precipitation studies. Agilent’s qPCR software, MxPro, provides users with an intuitive interface, quick experiment design, powerful data analysis and easy report generation. All of these features and more make qPCR with the Mx instrument an exciting and dependable user experience. Mx Pro QPCR software with FDA guideline 21 CFR Part 11 compatible features. Four key elements have been added to create the ET software version; secure application login, database file management, electronic audit trail, and report generation. The Comparative Quantification module generates and displays normalized fold change values on a chart using a base 2 logarithmic scale. Stratagene's Mx™ family of qPCR Systems, premiere qPCR System Service Program, complete line of qPCR and qRT-PCR reagents, and Fast Track qPCR Education Program provides a total package for your qPCR research. 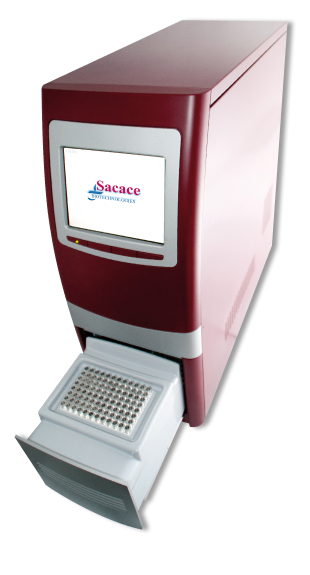 Sacace - SyCycler 96 - A new instrument for real-time amplification and melting analysis suitable both for research studies as well as for diagnostics applications. Two thermoeletric Peltier elements ensure high accuracy of temperature regulation and noiselessness. The unique design and project of the thermal block allows loading and unloading of test samples in a completely automated software-controlled way. Instrument comes with the most used Sacace protocols already installed in the software minimizing possibility of error during programming. A real-time PCR that offers an accurate and reproducible quantification is indispensable for gene expression analysis. 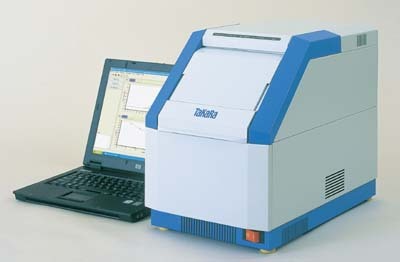 Takara Bio launched a real-time PCR instrument for 96 plate. 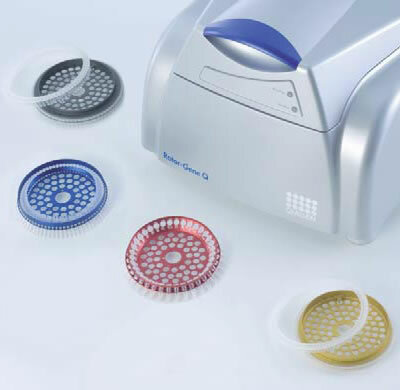 Thermal Cycler Dice™ Real Time is a compact system for 96 plate type with high-performance hardware and easy-to-use software. 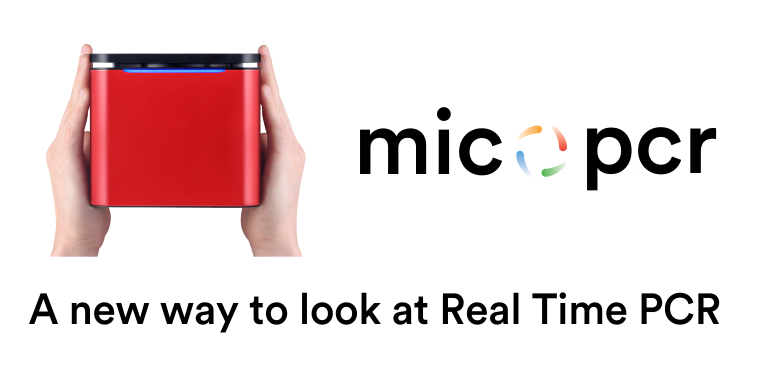 We recommend this system as a "Perfect" real-time PCR instrument with confidence. This product is not available in the U.S. and Europe.